If your holiday meals contain various ways of cooking potatoes, i.e. mashed, scalloped, au gratin, think about replacing your russets for sweet potatoes. The reason why you want to switch from the traditional white potatoes to sweet potatoes is for the differing nutritional content. While they are equal in some aspects, sweet potatoes contain more potassium and fiber, which means your heart will be happy and you will get fuller faster. Grains that are high in nutritional value like quinoa and rice are perfect for meal prepping. During your meal prep day make enough grains to last throughout the week. Add them to the meals you prep, or if you are on the go and need something fast, cook some beans and plate them on top of your chosen grain. All of a sudden you have a tasty nutritional meal with hardly any time involved. They also serve as a healthy side at a big holiday dinner. 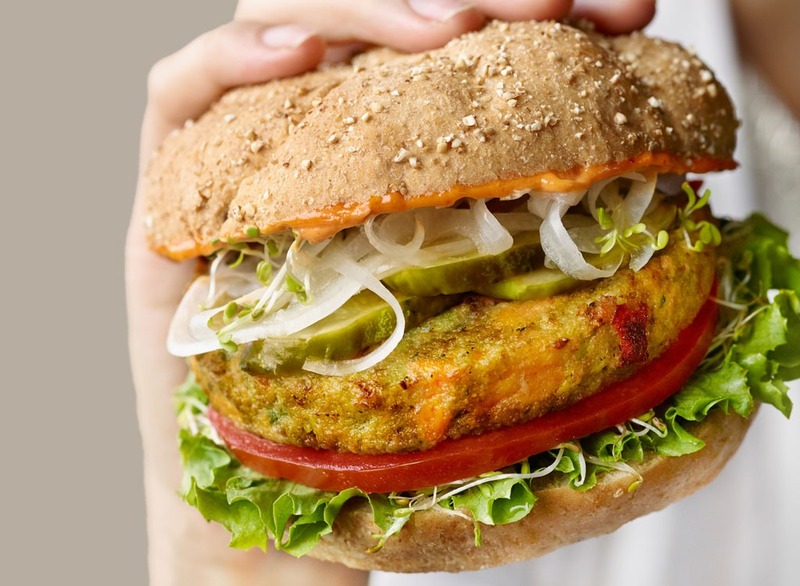 If your craving a burger, try a vegetarian or black bean patty. If these alternatives just won’t fill the burger void switch the bun. Instead of eating your burger on a traditional hamburger bun, try swapping the bun for an English muffin. This will save you some calories and unlike making your burger into a wrap, it adds fiber into the meal. The holidays have temptation lurking around every corner. After Halloween there is always plenty of candy and during the Christmas season peppermint is everywhere. Stave off the cravings by snacking on pumpkin seeds. Avoid the prepackaged roasted ones and go for ones you’ve scooped out of the pumpkin or the packaged ones that have the least additives. All they need is a little oil and salt, and then to be baked in the oven. Pumpkin seeds are a great snack because they are loaded with fiber and potassium, making them not only season friendly, but also extremely nutritious. If you are preparing festive meals, there are a few simple switches you can make that will cut calories without ditching flavor. Swap the usual milk and butter for almond milk. If you are making potatoes, you can even swap the milk for broth. Use coconut oil to replace olive oil. Try corn bread instead of other dense carbs. Lastly, instead of an overabundance of chocolate or other decadent dessert, try a fruit based dessert. Turkey is a staple for the holiday meal. Instead of depriving yourself from all holiday foods, take the better part of the turkey. The lighter meat of the turkey is healthier for you than the darker meat portion of the turkey. Don’t skip out on the holiday bird if it’s the centerpiece for you, just be picky on which part of the turkey is on your plate. If you’re like me, then pie is non-negotiable. If you’re health conscious this holiday season then it is best to weigh your pie options. Both apple pie and pumpkin pie reign supreme this time of year, but pumpkin pie contains fewer calories then apple pie. Pecan pie is the worst when it comes to nutrition of the typical holiday pies, so unless it can’t be helped, avoid it. The holidays usually include buffet style amounts of food at parties. If everything at the party looks absolutely delicious then your only option is portion control. Take little amounts of everything, as if you were sampling it, to avoid going overboard. Don’t deprive yourself of holiday fun in the interest of training, but if you want a fitter holiday meal don’t be afraid to try it out. The holidays are a time of celebration and family, so don’t sweat it if you missed a workout or had a day of splurging. Daylight savings time has just ended, which means it gets darker sooner. If you train after daytime work hours, this might mean training during the night. Never fear though, if this is your first-time training after daylight savings time, these are the tips for you, and if you’ve been through this before here are some helpful reminders. Even if it’s not required in your state to have headlights and taillights attached to your bike, it’s a great way to increase visibility. When buying bike headlights and taillights look for ones with flashing options. You will never look at your taillight, but to a driver a flashing taillight will draw attention to your bike. Headlights will not only cause drivers to be more aware of you, but it’ll also help you see objects in the road like potholes in the night. Make sure that any bike attachments you have don’t get in the way of your headlights or taillights. This goes for daytime as well, but it is especially important at night. Never wear earbuds or headphones while cycling in the dark. Music will cut down your awareness of your surroundings, which makes riding at night more dangerous. Stay alert and leave your favorite tunes for a different time. It’s best to run your route in a well-lit area. This helps you avoid potential dangers by helping you see where you are going. In addition to avoiding dangers easily, it’ll lessen the chances of anything dangerous happening to you. The main idea is to run in well-lit areas not only so you can see, but so you can be seen. If you decide to run someplace that is not well-lit, remember to always bring a form of light whether it’s a flashlight or a head lamp. These light sources will change how your eyes view depth, so when you run with a light that’s bouncing as much as you are, realize that the ground is a lot closer than your eyes can perceive. This means lift your feet up higher than you think you need to in order to avoid any stumbles or trips. No matter how you train in the dark, it’s important for others to know you are training in the dark. Make yourself as visible as possible for other people, cyclists, and most importantly cars. You want to be noticed. Pile on your reflective gear, lights, and any bright neon clothes to become visible during the night time. If you plan on training at night, make sure you have been on the route in the daytime before rushing out to train in the dark. This will help your mind make a mental note of certain landmarks that can keep you on the right track. The last thing you want is to get lost in the dark. 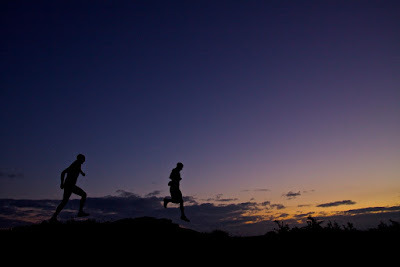 Typically, if you are training at night, that means it’s getting close or is winter time in your area. When it’s cold out that means switching gear. 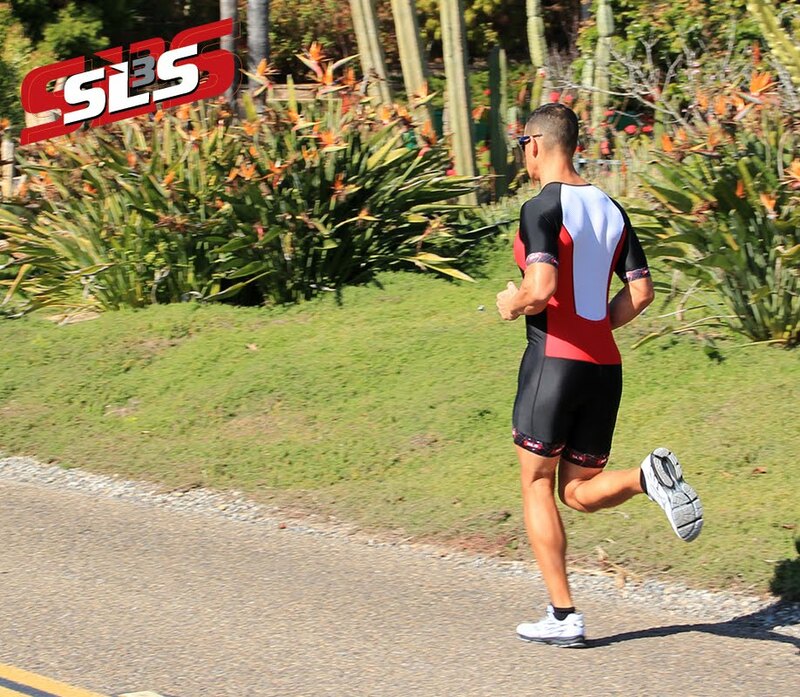 In addition to swapping out normal clothes for eye catching gear, take into consideration the temperatures you will be training in. You may want to add a reflective jacket or beanie to the list of gear you need for training at night. Training at night can be cold and hazardous, but with the proper gear and knowledge it can also be exhilarating. Have fun with your night runs and bike rides, but always remember to stay safe. Shoes are an important factor when it comes to injury prevention. 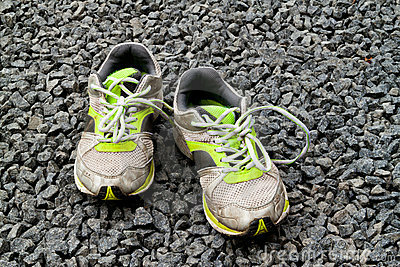 If your shoes are too worn down, they are unable to help aid your body in proper running form. When to replace your shoes can be a tad tricky. If your shoes are completely worn down, you probably should have replaced them a while ago, but what if they look new and don’t feel comfortable anymore? Here is a detailed guide of the signs to look for that tell you it’s time to replace your shoes. When you start experiencing new pains in your hips or knees, it’s time to invest in a new pair of running shoes. This may mean that your soles have worn down, or if they are new shoes that the soles didn’t fit the shape of your feet to begin with. Whatever the cause, you don’t want to increase the possibility of injury by developing a wacky running form to try and combat the worn or misshapen soles of your shoe. In many cases, people have been told that they should replace their shoes when you have run 500 miles or less in them. This is a general rule though and should be followed as a nice guideline. You lose about half the cushioning in your shoes around your 250th mile, which is where the estimation of the 500-mile rule comes from. The problem isn’t worn cushioning though, it’s how the worn cushion effects your run. If you realize that you are developing more injuries around the 300-mile mark, it’s time for new shoes. If by the 500th mile mark you don’t have any change in performance then you can get away with wearing the pair for longer. The best way to become someone who can wear their shoes past the 500th mile mark is to strengthen your feet and ankles, so your body is more balanced when your foot strikes the ground. Chances are if your shoes are old, then they probably can’t absorb the shock of your foot when it strikes the ground. Grab the heel of your shoe and push down on the middle of the sole of your shoe. If the sole is super soft then it means the sole as lost its shock absorption. It might be your first-time testing this, so if you can, test it on a new running shoe and the sole should feel firm. When the sole has lost its shock absorption it is time to get a new pair. Although the sole of the shoe is the most important part and receives the most attention when talking about replacing the shoe, it would be foolish to ignore the rest of the shoe. The outer tread of the shoe might be worn down due to the way your foot strikes the pavement. Since everyone runs differently you might never experience this problem, or this is the problem that usually tells you it’s time to get new shoes. If you see the next layer of the shoe creeping forth on the tread of your shoe then it’s time to get a new pair. Look at your shoes before tossing them though. This will help you see which areas your feet wear out and give you information on how to improve the balance of your feet. If you like to vary your workouts by not running on the road, or you are an avid trail runner, there is another step to notice about the wear of your shoes. Check the top of your running shoe. If it looks unusually worn compared to the rest of the shoe, and if the mesh holes have been stretched out since you’ve got them, then it is time to replace your shoes. The different terrain and exposure to the elements wear down your shoes differently. To make the most out of your trail shoes take proper care of them after your runs. What to do with Old Shoes? Recycle. Recycle. Recycle. There is only a small amount of effort on your part to give someone or something a new future. Several programs are in place that will take your old shoes and either redistribute them to people who need shoes, or some places will break down your old shoes and reuse the material for other needs. All you have to do is find which organization suits you best and then give them your old shoes. Retiring and finding new shoes to replace your beloved old ones might sound a little daunting, but your feet will thank you. You also might find a different shoe brand or type that is better than your last pair. Remember to look for the signs before it’s past time to replace your running shoes.